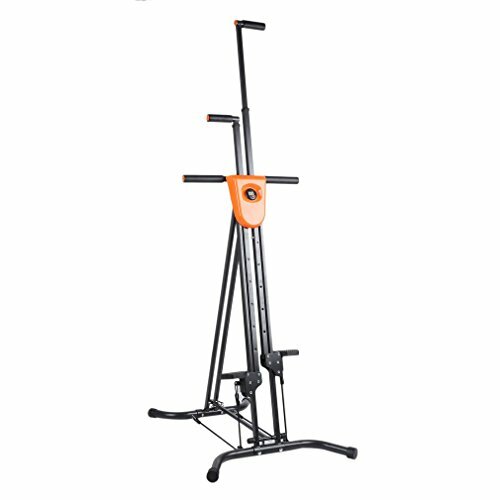 ▶A vertical climber is a low-impact exercise machine that provides cardio exercise, along with toning and strength training, giving you full workout experience in the comfort and privacy of your own home. And since you are working your body in unison, it burns more calories in half the time than regular fitness routines. ▶Homgrace Vertical Climber is designed for effective whole body training to build muscle and endurance. A great alternative to jogging, running or hiking. Vertical Climber works your entire body, sculpting leaner legs, toned arms, rock-hard abs and more. Features adjustable height for all body sizes, isometric non-stick grips for a comfortable grip, digital display, improved secure frame. ➎【BONUS】 Standard 1 month warranty. If you have any ambiguities, please do not hesitate to contact us, or ask the professionals.